During April 1899, a group of New Britain industrialists built a nine-hole golf course which they named Maple Hill Golf Club. It was located on property leased from the Welles family of Newington. In 1912, the members voted to purchase the property and reorganized as the New Britain Golf Club. The course was then expanded from nine to fifteen holes, but to complete an 18-hole round, it was necessary to replay three of the holes. Five years later some members expressed a desire to locate the New Britain Golf Club in a new area. Other members adamantly disagreed, thereby causing a rift. Those who wished to build a new course settled on a location in New Britain, which resulted in the present-day Shuttle Meadow Country Club. The members that remained purchased the assets of the club with a loan underwritten by Mr. A. W. Stanley of the Stanley Works Company, and renamed the course Sequin Golf Club. In 1920 Mr. E. Welles Eddy sold 15.7 acres of his adjacent farmland to the club, which enabled the members to expand the course to a full eighteen holes. In 1929, the name was changed to Sequin Country Club, and the annual membership dues for a single male were $140. The Great Depression began in 1929, precipitating a severe economic downturn, and by the early 1930s it had become worldwide. Many families and businesses suffered economic hardships and Sequin Country Club was no exception. Sequin was not able to meet its debts and foreclosure seemed imminent. In 1932, one of the Board Members, Alfred C. Fuller, founder of the Fuller Brush Company, felt morally obligated to assume the outstanding notes of the club and thereby, he became the majority stockholder. Mr. Fuller then changed the name of the club to the Indian Hill Country Club. He also changed the club’s status to semi-private and operated it profitably for over 35 years. Annual dues in 1932 were set at: Family – $ 85; Single male – $ 75; Female – $40. Mr. Fuller made the decision to sell the golf course in 1956—perhaps he wanted to consolidate his estate. 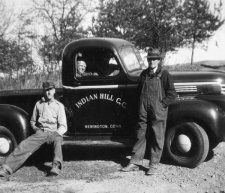 Many financial groups were interested, but Mr. Fuller gave first right of refusal to Indian Hill members, but only if each member purchased equal shares. 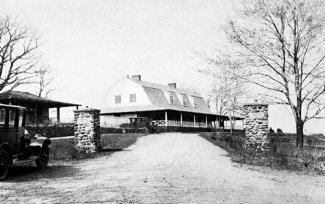 Since some members could not afford the purchase price, Mr. Fuller decided exercise his second choice, which was to sell the course to the Town of Newington. At a special town meeting, Newington agreed to purchase the course for approximately $500,000. From the beginning of the negotiations, Mr. Fuller’s intent was to use the proceeds of the sale for an educational foundation. Mr. Fuller said in the book, A Foot in the Door, “…years later, I sold the club, which I had not wanted in the first place, for a half-million-dollar profit. Because I did not feel I had earned this gain, I gave it to the Hartt School of Music.” By May 7, 1968, the Town of Newington had completed full acquisition of the property. 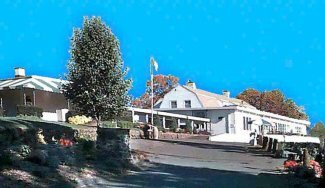 On February 28, 1969, a lease between Newington and Indian Hill Country Club was signed and the operation of Indian Hill commenced as a unique, leased entity, which still exists today. Indian Hill, which evolved from the original nine holes in 1899, to 15 holes in 1912, and finally, to 18 holes in 1921, has become one of the more outstanding golf courses in the Hartford area. Indian Hill has proudly produced many champions, prompting the name, “The Home of Champions.” Since 1926, our men have won the Connecticut Junior Championship four times, the Connecticut Senior Championship twice, the Connecticut State Amateur eight times, the New England Amateur three times, and the Connecticut State Open three times. Our ladies have won the New England Junior Miss Championship three times, the Connecticut Women’s Championship five times, the Canadian Women’s Amateur twice, and the U.S. Women’s Amateur once. Three of our members have been inducted into the Connecticut Golf Hall of Fame. The course record is 63, set by Carl Gallo in 1981, and equaled by Kevin Gai in 1987. This entry was posted in Golf Course, History. Bookmark the permalink.